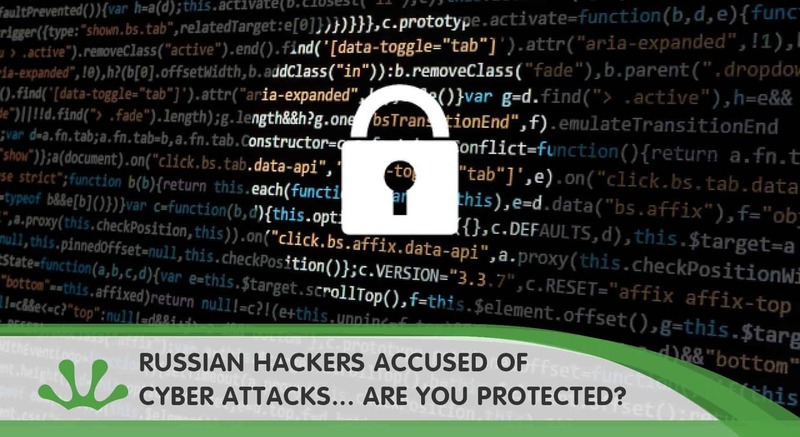 Russia Hackers Accused Of Recent Cyber-Attacks… Are You Protected? There have recently been millions of malicious cyber-attacks on a large number of networks, including the government offices and national services such as the NHS. People are being urged to check their security and network infrastructure and ensure their anti-virus software is up to date, together with updating passwords. It has recently come to light that Russia may be to blame for such cyber-attacks, by using routers connecting people’s homes and offices to spy on the information on them, collating data and passwords. These malicious attacks aren’t just targeting the UK either, but the US too. The US and UK have released the following joint statement: “Specifically, these cyber-exploits were directed at network infrastructure devices worldwide such as routers, switches, firewalls, network intrusion detection system,” it said. Due to the high number of cyber-attacks, and the large scale of these attacks, it’s highly recommended to increase server security to give as much protection as possible, have backups of your files and avoid using weak passwords.